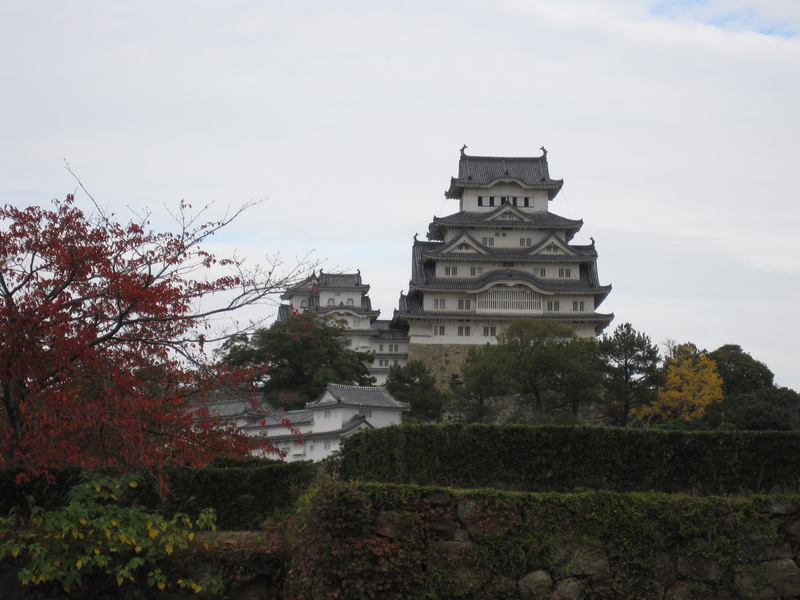 So, Yuki and I took a few days to visit some of the early temples and castles in the Kansai region of Japan. 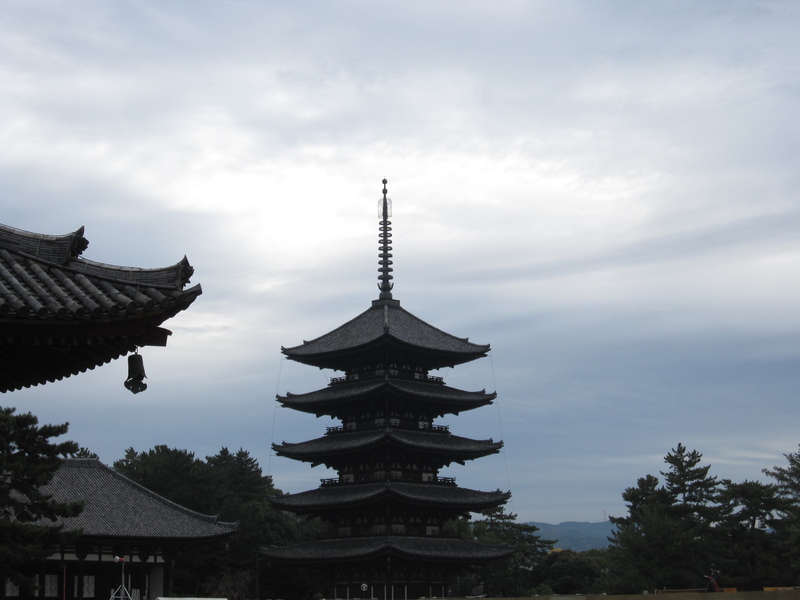 Most of the structures we saw date back to the 8th century and are truly amazing! Besides the structures there were also tons of great sculptures from the same time period. However, as you all know, this blog isn’t about architecture, it’s about food. 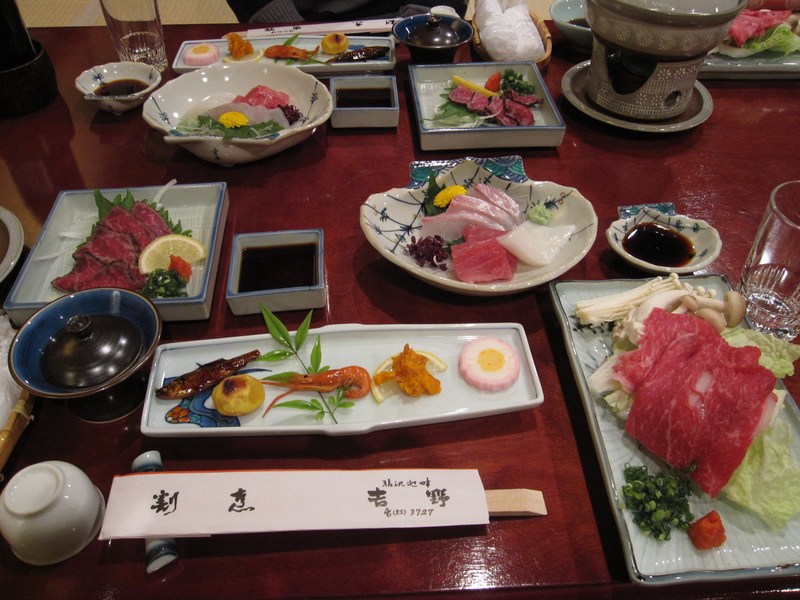 This post is to let you know about the incredible Kaiseki we ate our last night in Nara at the Ryokan (traditional Japanese Inn) we stayed at, Yoshino. Kaiseki is the classic multi-course meal that progresses through various cooking techniques using regional, seasonal ingredients. It’s the highest art form you can find in food anywhere in the world. Focus on the subtleties of each ingredient to draw out natural flavors and not cover then with heavy sauces (sorry Frenchies, but the Japanese have your asses kicked in food culture!). It started with that dish in the middle of the picture above. From left to right was a little fish grilled in a sweet soy marinade, a roasted chestnut, ama ebi (sweet shrimp), some sort of seafood that had a jellyfish-like texture in a miso sauce (I have absolutely no idea what it was, but it sure tasted good! ), then a three-colored fish cake. After that they brought out this dish. It was obviously a shrimp, but I’m not quite sure what else there was. 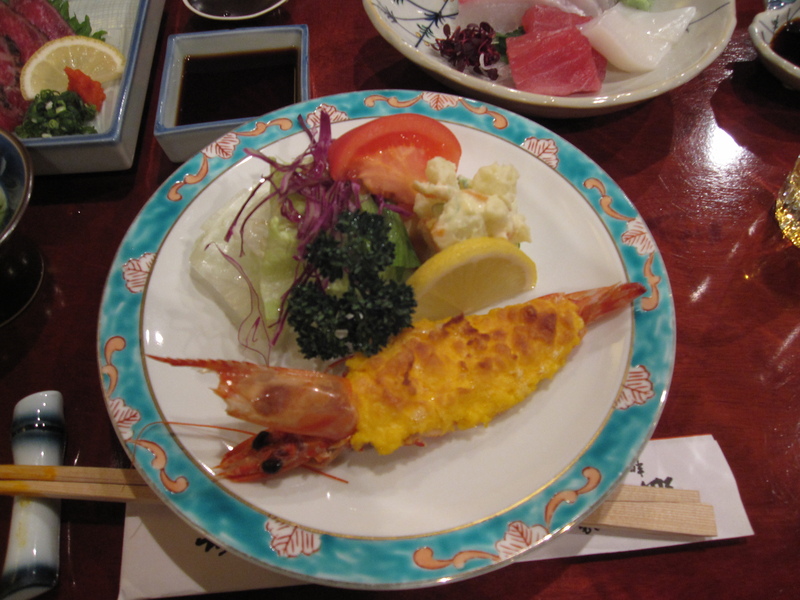 I think it was a gratin made with the roe of the shrimp. Also on the plate as a macaroni salad and some lettuce with a tomato. Then we moved on to the sashimi plate. 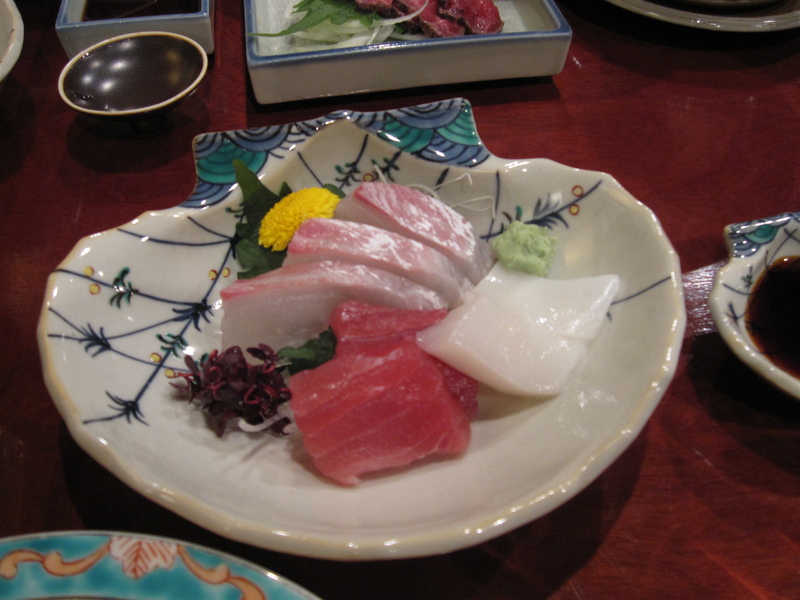 It had some fantastic Chu-Toro (tuna), Tai (snapper), and the star of the plate….Ika (squid). In the States when you order Ika it’s usually very thin and a little rubbery. Not these two slices. They were about a half centimeter thick, squid steaks! Rubbery? Hell no! Each chew and the squid literally melted away in our mouths. Hands down the best squid I’ve ever eaten. Then they brought us a plate of steamed Ayu (sweet fish). It’s a river fish that eats moss attached to stones giving it a really fresh and clean taste. It was served with a light ginger sauce. 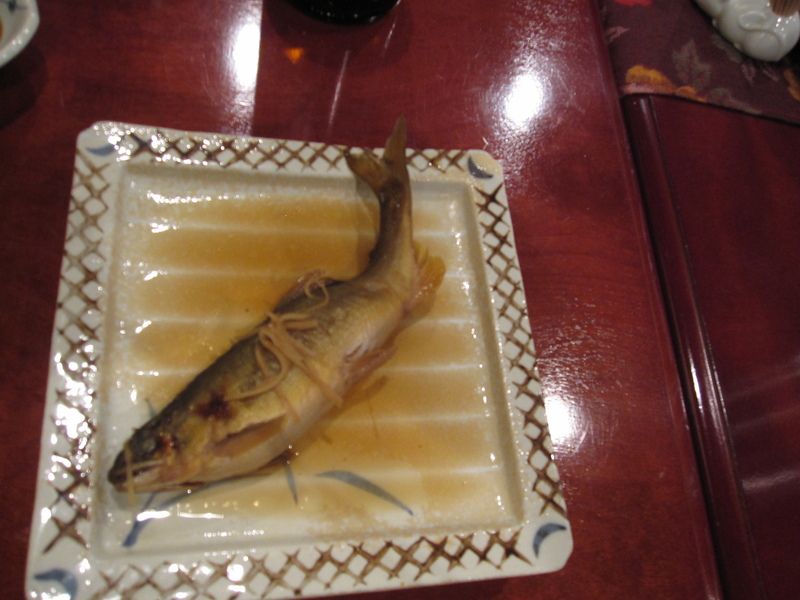 The thing that makes Ayu special is that it’s eaten when the belly is full of fish roe. There isn’t much meat, so it’s like dipping chopsticks into a bowl of fresh water caviar. Being the meatavore that I am, the next plate was what I was most looking forward to….Beef Tataki. 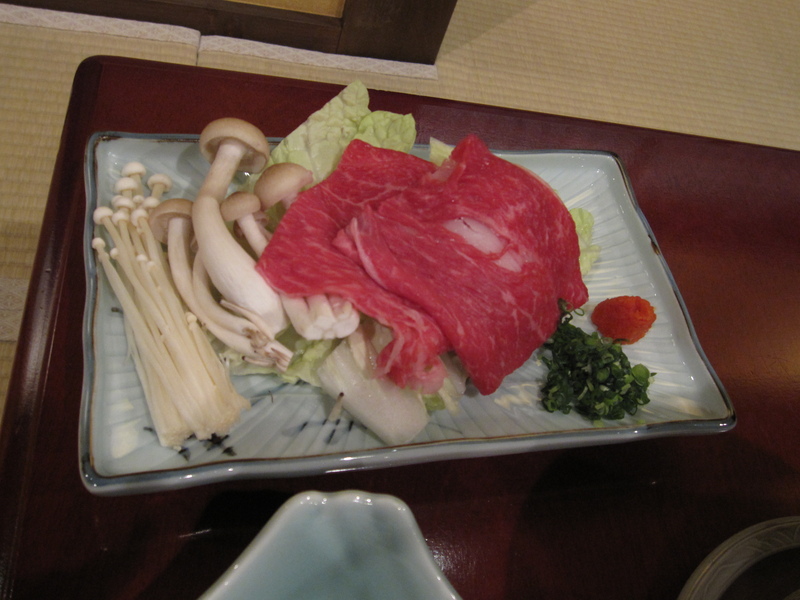 Lightly seared beef to give a little texture to the soft raw meat laden with mouth-watering fat. 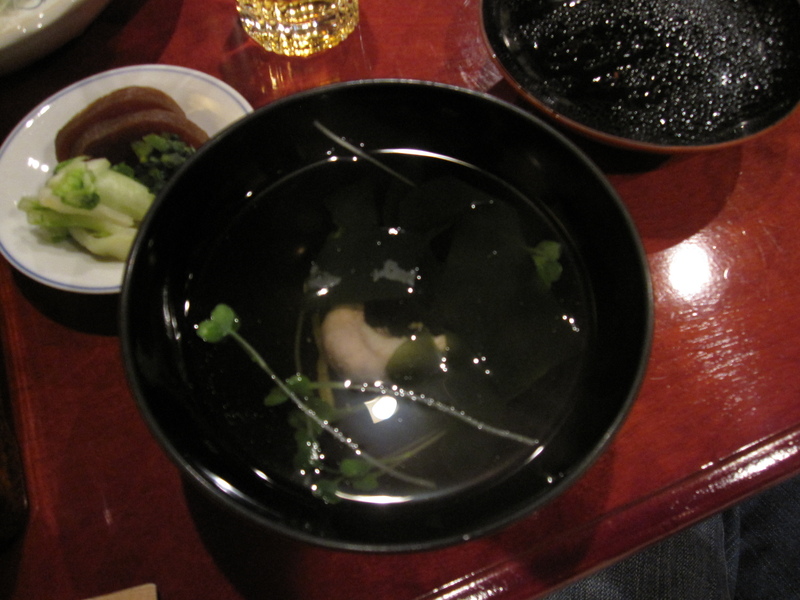 The dipping sauce is a soy-dashi mix. You see the little mound of reddish gew on the side of the dish? That’s a mix of togarahsi (Japanese red pepper) and yuzu (a small citrus fruit). You mix that into the sauce like you would wasabi for sushi, along with thinly sliced chives. With the tataki there was a small dish of sliced cucumber and I think seaweed in a vinegar sauce that cleansed the palette from the fatty beef. Then we ate the Shabu-shabu. Unfortunately I forgot to get a picture of the individual hotpots we used, but here’s the ingredients. The broth was a light sake base, in it we added cabbage, enoki mushrooms, and shimeji mushrooms. 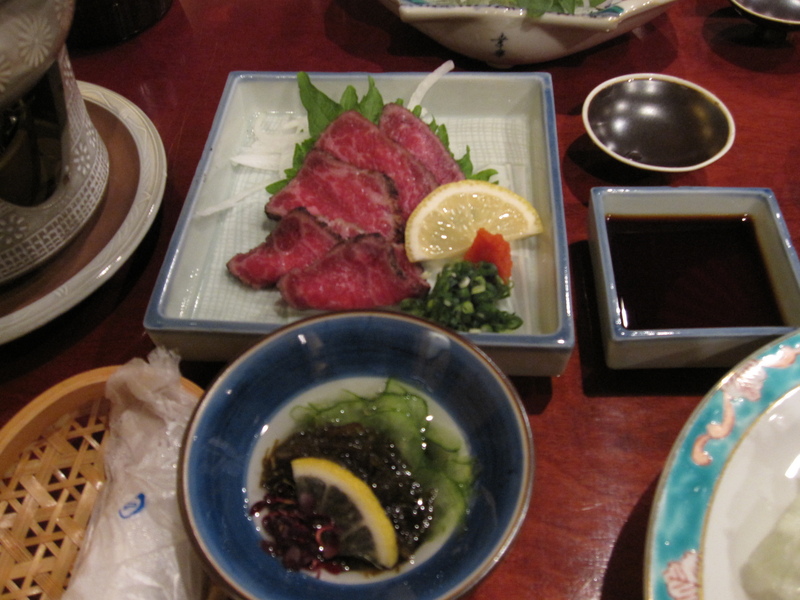 Once they were cooked, we sloshed the thinly sliced beef around to cook it and then dipped it all in a light soy with more of the togarashi yuzu and chives. 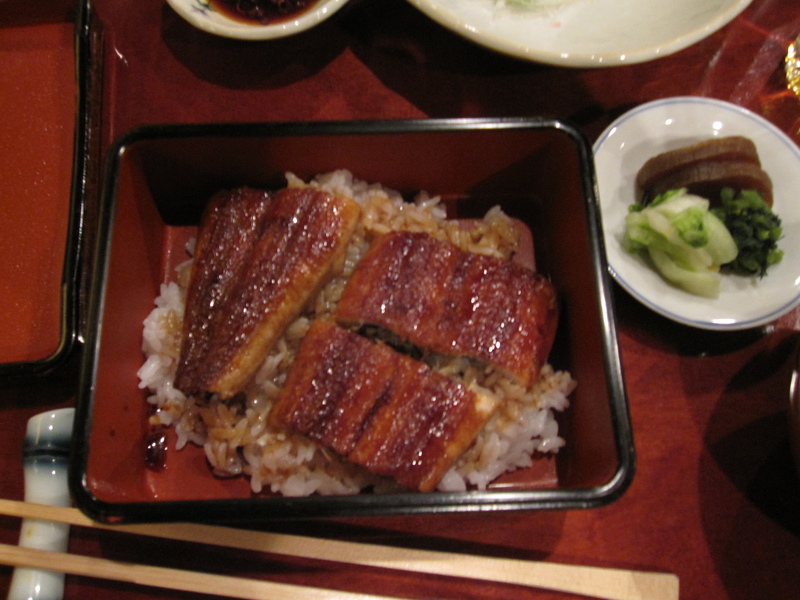 After that we got two different preparations of Unagi. To be honest, I have absolutely no clue what the difference was. One was served on top of rice, the other with rice on the side. 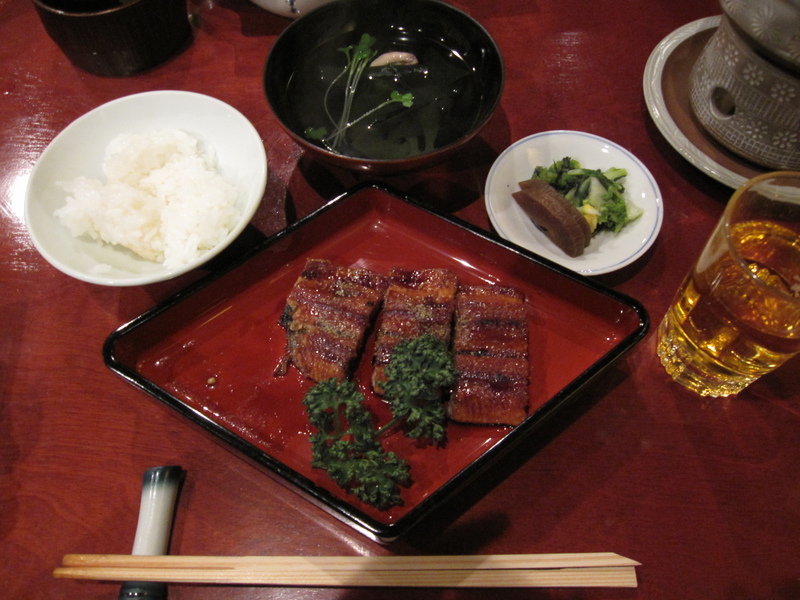 All I can tell you is that you will never find eel of that quality anywhere in the States. It tasted like they just caught it that morning. Best eel ever! Both came with a little dish of Japanese pickles. They were probably damn good pickles, but I don’t like pickles so I let Yuki eat mine. After the Unagi was a clear broth soup with an ingredient we couldn’t figure out. At first, we thought it was some sort of mushroom. It wasn’t. Then we thought it might be shiroko, fish sperm sack. It wasn’t that either. 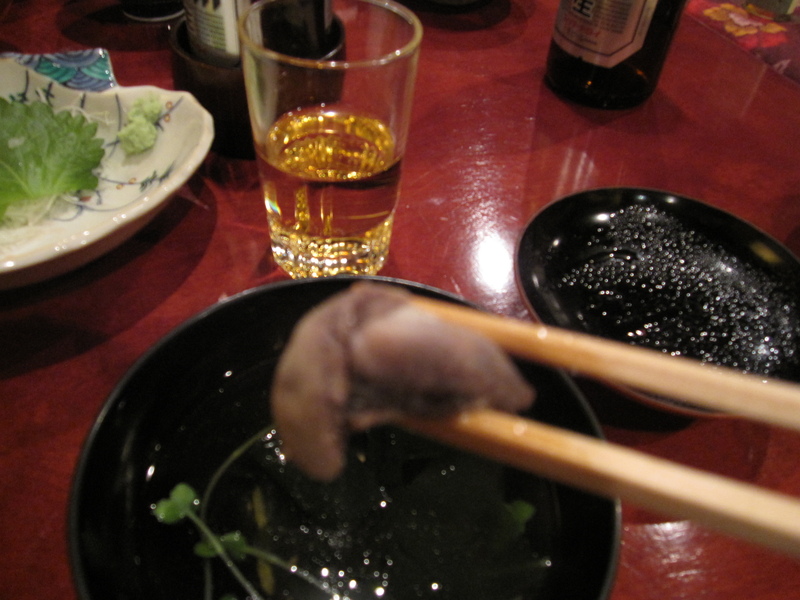 We finally found out that it was eel liver, probably from the Unagi we just ate. It had kind of a crunchy yet soft texture. Not something you’ll find on any old menu. 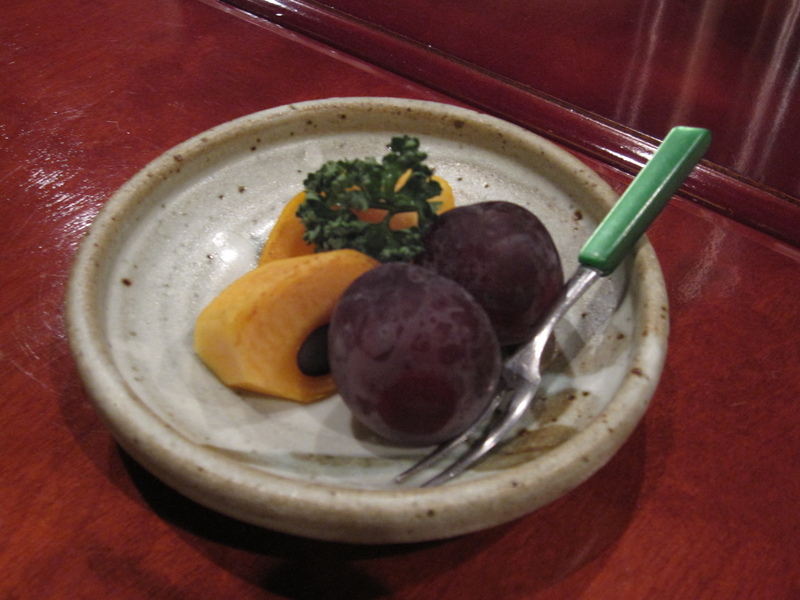 Finally, to finish things off was a plate with fresh persimmons and grapes. persimmons are in season right now and are everywhere while Japanese grapes are absolutely huge compared to what we get. All in all this was my 5th Kaiseki. I wish I could afford to eat like this every night as there is always something unusual and strange to the western palette. If any of you get to Japan I highly recommend splurging at least once to experience the delicate yet sophisticated Japanese cuisine at it’s finest.